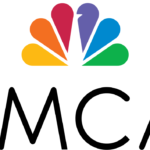 Hattis Law is investigating complaints that Charter Spectrum charges a hidden and misleading “Broadcast TV Surcharge” fee to its cable customers and repeatedly raises its rates on Time Warner legacy customers. Hattis Law is investigating complaints that Cable One fails to adequately disclose hidden fees and price increases to its customers. 1. 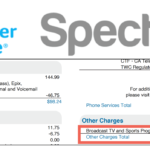 Hidden “Broadcast TV Surcharge” Fee. Cable One charges its residential cable customers a “Broadcast TV Surcharge” fee of over $10.00 a month. Customers report that Cable One fails to adequately disclose this fee and raises it without notification. Hattis Law is investigating complaints that NewWave fails to adequately disclose hidden fees and price increases to its customers. 1. Hidden “Broadcast TV Surcharge” Fee. NewWave charges its cable customers a “Broadcast TV Surcharge” fee of over $10.00 a month. Customers report that NewWave fails to adequately disclose this fee and raises it without notification. Hattis Law is investigating complaints that DirecTV fails to adequately disclose hidden fees and price increases to its customers. Hattis Law is investigating complaints that Cox Cable charges hidden fees and overcharges to its cable customers. Hattis Law is currently investigating complaints of AT&T Wireless charging a hidden and misleading “Administrative Fee” to its customers. AT&T recently increased this “Administrative Fee” to $1.99/month per line. 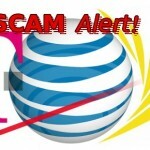 Customers report that AT&T fails to adequately disclose this fee and increases it without notification. Hattis Law is investigating complaints that 1800mattress is advertising false discounts and selling lower quality mattresses than promised. 1800mattress advertises false discounts from fake and inflated “regular” prices in order to make its customers think its mattresses are worth more and are of higher quality than they actually are. Hattis Law is investigating complaints that Afloral (afloral.com) is advertising false discounts and selling lower quality flowers and floral arrangements than promised. Afloral advertises false discounts from fake and inflated “regular” prices in order to make its customers think its floral arrangements are worth more and are of higher quality than they actually are. Hattis Law is investigating complaints that Wish.com is advertising false discounts and selling lower quality products than promised. Wish.com advertises false discounts from fake and inflated “regular” prices in order to make its customers think its products are worth more and are of higher quality than they actually are. Hattis Law is investigating complaints that Lee.com is advertising false discounts and selling lower quality clothing items than promised. Lee.com advertises false discounts from fake and inflated “regular” prices in order to make its customers think its clothing items are worth more and are of higher quality than they actually are. Hattis Law is investigating complaints that Guess Factory is advertising false discounts and selling lower quality clothing items than promised. Guess Factory advertises false discounts from fake and inflated “regular” prices in order to make its customers think its clothing items are worth more and are of higher quality than they actually are. Hattis Law is investigating complaints that Build.com is advertising false discounts and selling lower quality home improvement products than promised. Build.com advertises false discounts from fake and inflated “regular” prices in order to make its customers think its products are worth more and are of higher quality than they actually are. Hattis Law is investigating complaints that Jos. A. Bank is advertising false discounts and selling lower quality clothing items than promised. Jos. A. Bank advertises false discounts from fake and inflated “regular” prices in order to make its customers think its clothing items are worth more and are of higher quality than they actually are. Hattis Law is investigating complaints that Children’s Place is advertising false discounts and selling lower quality clothing items than promised. Children’s Place advertises false discounts from fake and inflated “regular” prices in order to make its customers think its clothing items are worth more and are of higher quality than they actually are. Hattis Law is investigating complaints that Aeropostale is advertising false discounts and selling lower quality clothing items than promised. Aeropostale advertises false discounts from fake and inflated “regular” prices in order to make its customers think its clothing items are worth more and are of higher quality than they actually are. Hattis Law is investigating complaints that Saks Off Fifth is advertising false discounts and selling lower quality clothing items than promised. Saks Off Fifth advertises false discounts from fake and inflated “regular” prices in order to make its customers think its clothing items are worth more and are of higher quality than they actually are. Hattis Law is investigating complaints that Lamps Plus is advertising false discounts and selling lower quality lamps and lighting products than promised. Lamps Plus advertises false discounts from fake and inflated “regular” prices in order to make its customers think its products are worth more and are of higher quality than they actually are. Hattis Law is investigating complaints that Nordstrom Rack is advertising false discounts and selling lower quality clothing items than promised. Nordstrom Rack advertises false discounts from fake and inflated “regular” or “compare at” prices in order to make its customers think its clothing items are worth more and are of higher quality than they actually are. Hattis Law is investigating complaints that Houzz is advertising false discounts and selling lower quality furniture and home improvement products than promised. Houzz advertises false discounts from fake and inflated “regular” prices in order to make its customers think its products are worth more and are of higher quality than they actually are. Hattis Law is investigating complaints that Avas Flowers (avasflowers.net) is advertising false discounts and selling lower quality flowers and floral arrangements than promised. Avas Flowers advertises false discounts from fake and inflated “regular” prices in order to make its customers think its floral arrangements are worth more and are of higher quality than they actually are. Hattis Law is investigating complaints that Gymboree is advertising false discounts and selling lower quality clothing items than promised. Gymboree advertises false discounts from fake and inflated “regular” prices in order to make its customers think its clothing items are worth more and are of higher quality than they actually are. 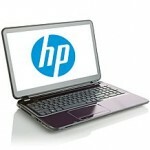 Hattis Law is currently investigating complaints that Lenovo is advertising false discounts for computers purchased direct on the Lenovo.com website. Lenovo advertises fake and inflated “regular” prices for its computers in order to make its customers think the computers are worth more and are of higher quality than they actually are. Hattis Law is investigating complaints that Williams-Sonoma advertises false discounts in its stores and on its website. Williams-Sonoma advertises a fake “suggested” price next to its own price in order to make customers think its products are worth more and are of higher quality than they actually are. The “suggested” price is fake because the vast majority of products have never been sold at that price by Williams-Sonoma or anyone else. 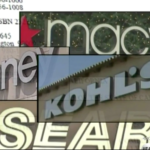 Hattis Law announces that today, as co-counsel with the Los Angeles City Attorney Mike Feuer and the law firm of Lieff Cabraser Heimann and Bernstein, it has filed four consumer fraud civil enforcement actions against national retailers: J.C. Penney, Kohl’s, Macy’s, and Sears. 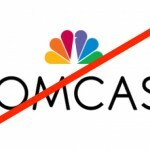 View the Comcast Class Action Complaint. 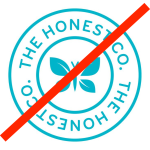 We are currently investigating complaints that Honest Company lied to consumers by promising its products do not contain SLS (Sodium Lauryl Sulfate), while they in fact contain significant amounts of SLS. Consumers complain that SLS causes them skin irritation and other problems. We are currently investigating Network Solutions for charging customers a $25.99 late fee to renew their expired domain names. This undisclosed “reinstatement fee” starts on day one of expiration, and is in addition to the $37.99 renewal fee. 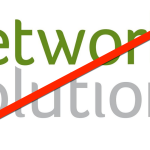 If Network Solutions charged you a $25.99 “reinstatement fee” to renew your expired domain name, you may have a claim. We would like to learn of your experience. 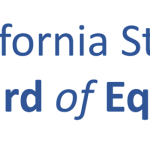 Hattis Law needs your help to stop the cell phone carriers and the state of California from overcharging sales tax on smartphones. 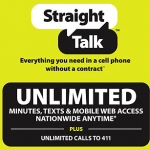 Carriers are overcharging consumers by at least $35 for each smartphone sold with a 2 year contract. Rather than charging consumers tax on the price paid at the register (e.g. $199 for an iPhone 5s), the carriers are illegally charging consumers tax on the “list price” of the phone (e.g. at least $599 for an iPhone 5s). 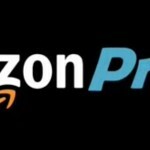 We are currently investigating complaints that Amazon has been charging consumers for unwanted Amazon Prime subscriptions. 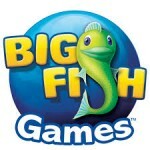 We are currently investigating complaints of unauthorized credit card charges from Big Fish Games. We are currently investigating complaints that Google is charging consumers for unwanted renewals of magazine subscriptions purchased through the Google Play Newsstand store. 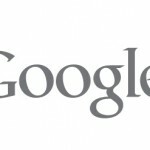 The Google Play store is the default app store on Android phones and Android tablets. We are currently investigating complaints that Airvoice Wireless terminates data access to customers of its plans after only 50% of the promised plan data is used. For example, on the $40 plan, which promises 1 GB of data, Airvoice terminates the data after only 500 MB is used. The Airvoice will not enable the second 500 MB until the customer calls customer service to complain. 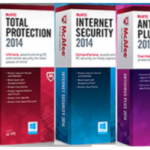 Hattis Law is committed to ending this deceptive practice by Airvoice, and needs your help.